Packaged meat company Smithfield Packing Company is recalling some 38,000 pounds of pork sausage because it may contain small pieces of plastic, likely from gloves, the U.S. Food Safety and Inspection Service announced Thursday. The sausages were sold in 11 states and the District of Columbia. Venezuelan President Hugo Chavez remains under treatment for "respiratory insufficiency" that arose after he underwent an operation, a government spokesman said Thursday on national television and radio. But Chavez's treatment for his underlying disease - cancer - "continues without presenting significant adverse effects so far," said information minister Ernesto Villegas. A New Hampshire jury on Thursday convicted a Rwandan woman of lying about her role in a 1994 genocide in her home country to acquire U.S. citizenship. Beatrice Munyenyezi, 43, had her citizenship revoked and will face sentencing in June for two counts of lying on U.S. government applications, authorities said. She faces up to 10 years behind bars, a $250,000 fine on each count and possible deportation, according to the Justice Department. Sarai Sierra traveled alone from New York to Istanbul on January 7 to take photographs. Turkish police have identified and are looking for a man suspected of killing American tourist Sarai Sierra, whose body was found earlier this month, CNN affiliate CNN Turk reported Thursday. Police are looking for the suspect, identified only as "Ziya T," in the southern province of Hatay, where his family lives, CNN Turk reported. Sierra, of New York, traveled alone to Istanbul on January 7. She was reported missing after she did not arrive on a return flight January 22, and Turkish police found her body near ancient stone walls in Istanbul's Sarayburnu district this month. 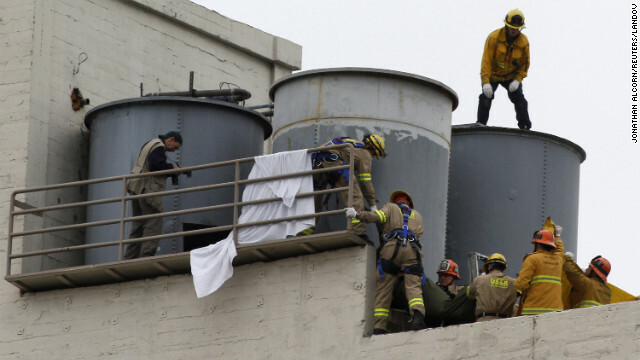 Firefighters work to remove a body found inside a water tank on the rooftop of Hotel Cecil in Los Angeles on Tuesday. An autopsy on a woman whose body was found in a hotel water tank in Los Angeles is complete, but the cause of death is deferred pending further examination, the Los Angeles County Coroner's Office said Thursday. That may take six to eight weeks, according to Ed Winter, the assistant chief of the coroner's office. The decomposing body of Elisa Lam, 21, of Canada, was found floating inside a water tank on the roof of the Cecil Hotel on Tuesday. The body was in the tank for as long as 19 days while guests brushed their teeth, bathed and drank with water from it, officials say. [Updated at 5:36 p.m. ET] Police have just released what they believe led to this morning's shooting and fiery crash that left three people dead on the Las Vegas Strip. It began with a dispute in the valet area of the Aria hotel, Sheriff Douglas Gillespie told reporters moments ago, citing witnesses. After the altercation, the participants drove north on Las Vegas Boulevard in two vehicles - a black Range Rover Sport and a Maserati - and someone from the Range Rover fired into the Maserati, killing the driver and wounding a passenger. The Maserati then continued into an intersection with Flamengo Road - near the Caesars Palace and Flamingo casinos - and struck a taxi, causing a chain of crashes that involved four other vehicles. Two people inside the taxi died. Three other people in the crashes suffered minor injuries, Gillespie said. Check out the full story for more details. [Posted at 12:58 p.m. ET] Three people are dead and at least three others wounded after a shooting and fiery car crash that shook the Las Vegas Strip early Thursday morning, police say. The incident began about 4:20 a.m. when someone in an SUV - stopped at a stoplight on Las Vegas Boulevard near Caesars Palace and a number of other casinos - fired into a Maserati that also had stopped at the light, Las Vegas police said. The Maserati moved into the intersection with Flamingo Road and collided with a taxi, starting a chain of crashes that involved four other vehicles, police said. Egypt will hold parliamentary elections in several stages beginning April 27, said Pakinam el-Sharkawy, a member of President Mohammed Morsy's presidential team. Pakinam el-Sharkawy made the announcement on state television. He did not specify how many stages of elections will be held. 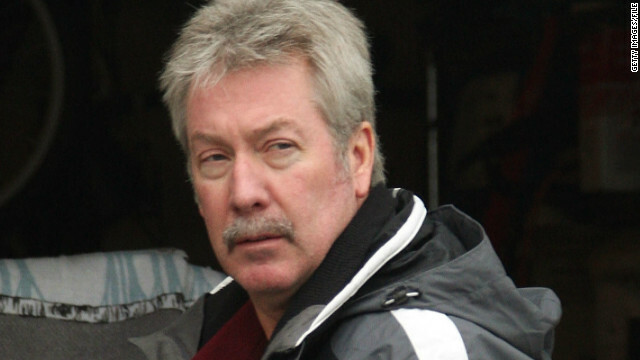 Former Chicago-area police sergeant Drew Peterson was sentenced Thursday to 38 years in prison - with credit for nearly four years in jail - for the 2004 murder of his ex-wife, Kathleen Savio, a prosecution spokesman in Illinois said. Peterson plans to appeal the sentence, one of this lawyers said. The headline-grabbing case did not arise until after Peterson's fourth wife, Stacy, disappeared in October 2007. It was during the search for Stacy Peterson - who has not been found - that investigators said they would look again into Savio's death, which was initially ruled an accidental drowning. In February 2008, authorities altered their judgment and ruled Savio's death a homicide. Peterson was later arrested and charged with first-degree murder. 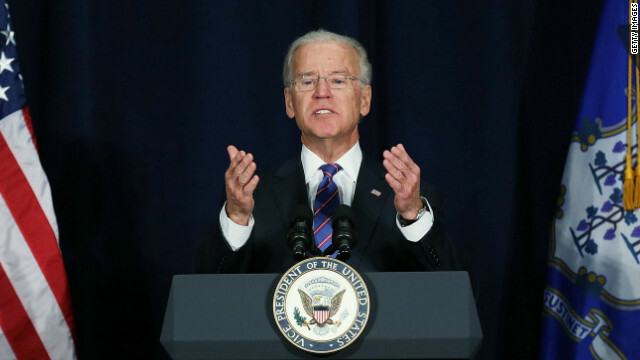 Political risk shouldn't matter when it comes to combating gun violence, Vice President Joe Biden argued Thursday at a conference in Danbury, Connecticut. Danbury is just west of Newtown, where a gunman massacred 20 children and seven adults, including his mother, in December. As the National Rifle Association continues to beef up its campaign and rhetoric against the Obama administration's gun proposals, Biden warned his colleagues on Capitol Hill not to succumb to the group's power and money. "If you're concerned about your political survival, you should be concerned about the survival of our children," Biden said, arguing that those who "refuse to act" are the ones who should pay politically. "Because America has changed on this issue. You should all know the American people are with us." 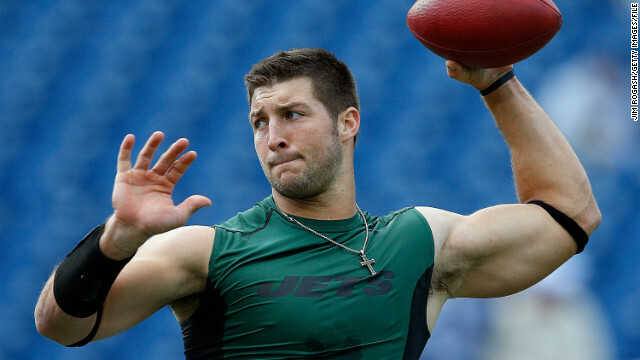 NFL quarterback Tim Tebow has canceled an appearance at a controversial Dallas-area church. The outspoken Christian quarterback was scheduled to speak at First Baptist Church on April 28. The church is led by Robert Jeffress, who has been widely criticized for views against homosexuality, Islam and Mormonism. Tebow, announcing his decision Thursday on Twitter, said that he was canceling his appearance "due to new information that has been brought to my attention." Tebow's statement appeared over a series of four tweets on the social media site. 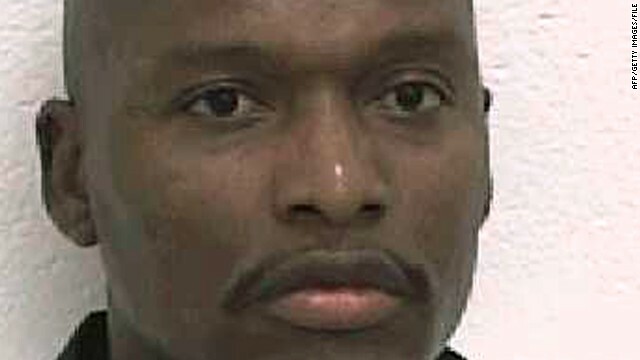 Two days after a last-hour reprieve, it appears condemned Georgia murderer Warren Lee Hill will be spared execution for at least a few more weeks. The U.S. Supreme Court on Thursday upheld a 30-day stay of execution for Hill (pictured), whose attorneys say he's mentally disabled. Georgia had asked the justices to lift the stay, which was granted minutes before Hill had been scheduled to die by lethal injection Tuesday night. A federal appeals court in Atlanta halted the execution to give lawyers a month for written arguments on whether Hill should be spared under the federal ban on executions of the mentally disabled. Two bomb blasts killed at least 12 people and wounded 57 others on Thursday in the southern Indian city of Hyderabad, Home Secretary R.K. Singh said. Hyderabad's police commissioner Anurag Sharma didn't rule out the possibility of terror involvement in the city blasts.But he refused to identity any group as a suspect. South African Olympic sprinter Oscar Pistorius appears at Magistrate Court in Pretoria, South Africa, on Tuesday, February 19. 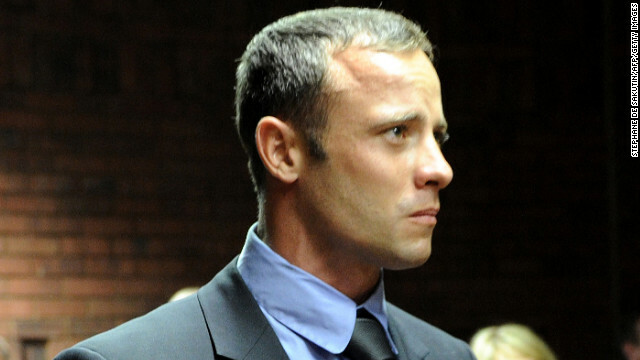 Final arguments began today in the bail hearing of Oscar Pistorius, who is charged with premeditated murder in the killing of his girlfriend, model Reeva Steenkamp, in the early hours of Valentine's Day. Today saw the case's lead investigator, Hilton Botha, removed from the case after prosecutors reinstated attempted murder charges against him in connection with a 2011 incident. Read details about today's hearing below, or check out our FULL STORY. Also, follow @RobynCurnow who was tweeting from inside the Pretoria courtroom. [Updated at 9:04 a.m. ET] The court has adjourned proceedings for the day. [Updated at 8:41 a.m. ET] The state makes the argument that Pistorius shows no realization of what he has done. [Updated at 8:28 a.m. ET] The state begins its closing arguments. CNN's Robyn Curnow tweets from the court that there will be no decision on bail today. [Updated at 6:22 a.m. ET] A car bomb near the Syrian ruling party's headquarters killed 31 people on Thursday, the opposition Syrian Observatory for Human Rights reported. [Posted at 5:56 a.m. ET] A car bomb targeting the headquarters of Syria's ruling party killed eight people in central Damascus on Thursday, according to state media and opposition activists. The explosion burned 17 cars and damaged 40 more, Syrian state TV said. Eight body bags were brought for charred remains of passengers who were in a taxi, according to state television. Three British men on holiday in the United Arab Emirates were beaten and subjected to electric shocks by police following their arrest on drug charges last July, a prisoners' rights group claims. British citizens Grant Cameron, Karl Williams and Suneet Jeerh, all ages 25, have been in detention in Dubai for more than seven months. They were arrested on charges of possession of the synthetic cannabis, "spice," according to Reprieve, a UK-based organization that provides legal support to prisoners. Dubai police denied any torture took place. The mother of three girls found dead at the bottom of a well in western India after allegedly being raped has called for those responsible for their deaths to be caught and publicly hanged. The bodies of the three girls - aged 6, 9 and 11 - were found in the well in Bhandara district in Maharashtra state on Saturday after they had been reported missing two days earlier, said A.R. Tiwari, a local police inspector.